What differences among Toner>Moisturizer>Cream>Serum ? 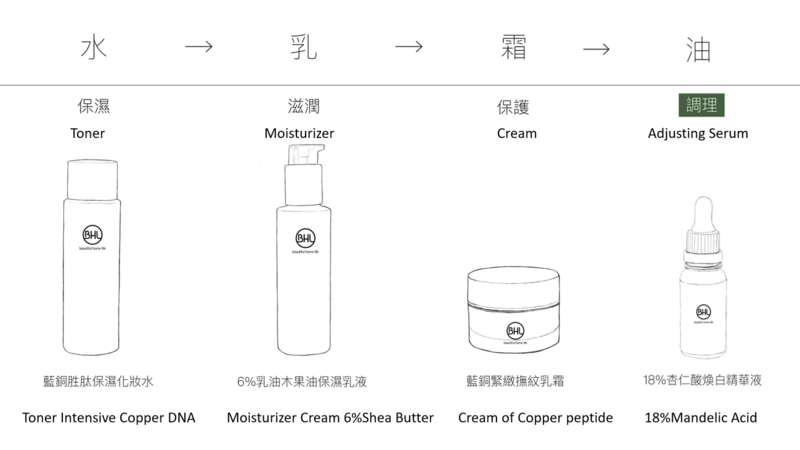 How to decide your skin care steps ? Toner : Providing moisture which deep enough to penetrate your skin and improving the basic need of water. Moisturizer: Keep the moisture long enough on superficial layer to mantain your skin watery condition. Cream/ Serum :Stabilize your skin superficial condition to strenghten them by preventing moisture lost too quickly. 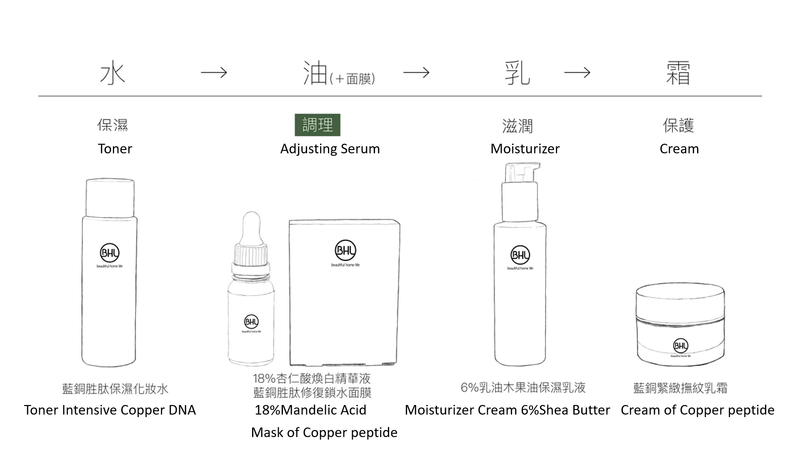 What are the steps for skin care? if you are outdoor later, sunblock lotion on the final step. 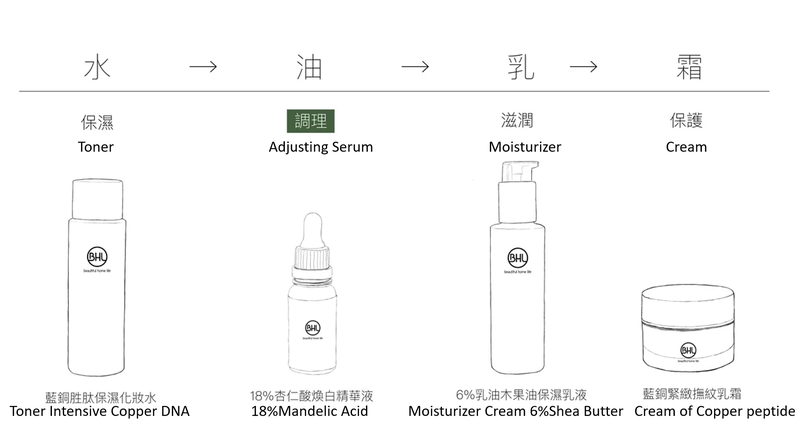 When shall 18% Mandelic Acid be used ? 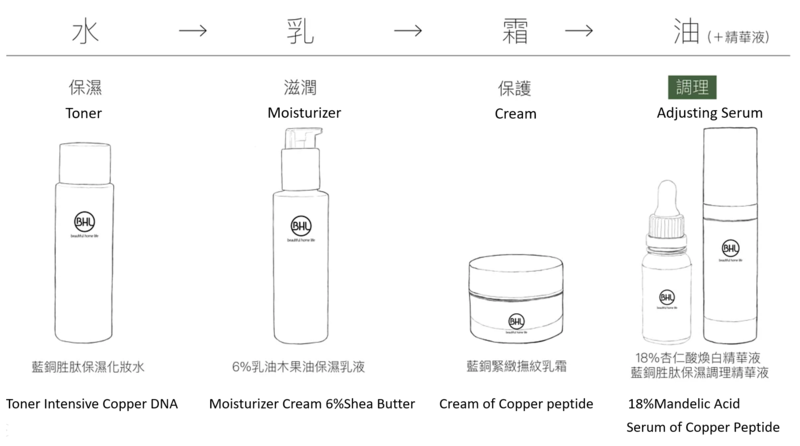 It belongs to metabolic purpose skin care ,not for compulsory. 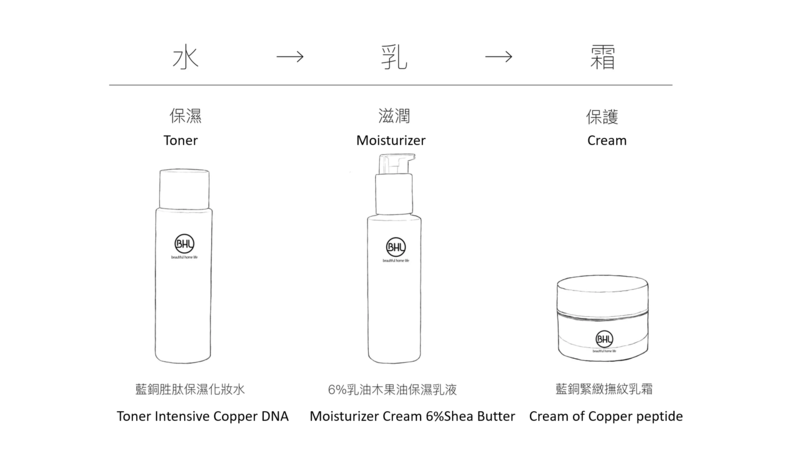 OBHL products are mostly suitable for sensitive skin condition ,if you wish to have a wise and effective skin care after using the product some time,OBHL is your choice.